Only yesterday we heard rumor of the Samsung Omnia 7, and now we have a photograph. IntoMobile obtained this shot of the new device, and it might not be the GT-i8700 like we originally thought. If you look at a previously leaked photo of the GT-i8700, it has a much straighter top than the Omnia 7, implying this is a new device. 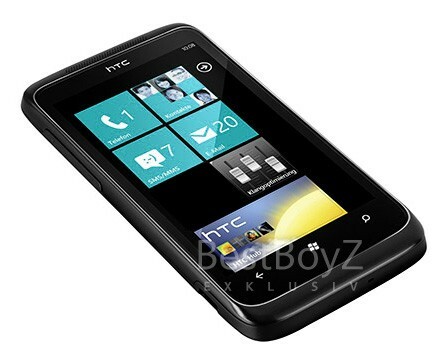 German site BestBoyz has leaked PR shots of the HTC Mondrian, which look incredibly legit. 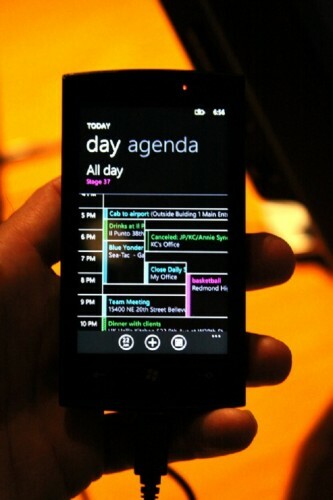 The Mondrian is rumored to be on the higher end of HTC’s WP7 lineup, and might have a 1.3GHz processor.